Open House in Ocean County with photos and maps for Sunday August 28, 2016 in Barnegat, Stafford Twp, Lacey (Forked River & Lanoka Harbor), Bayville, Long Beach Island, Toms River, Brick, Jackson, Waretown, Beachwood, Point Pleasant, Mantoloking/Seaside Area and all of Ocean County (These are the only scheduled Open Houses in Ocean County for this Sunday). Click here to set up your own Open House Alerts in the areas in which you’re interested. No more searching for Open Houses, you’ll get notified immediately! Below is the complete list of Open Houses in each town for Aug 27 & Aug 28, 2016. Greenbriar Woodlands in Toms River, New Jersey is an active adult community aptly named for its surrounding trees and forests. Situated on 404 acres of land in a rural area of scenic Ocean County, this gated community features a private golf course, a 20,000 square-foot clubhouse, and a full-time activities director. In addition, a long list of social clubs and special interest groups provides residents extra options for activities and recreation. Despite its private setting, Greenbriar Woodlands in Toms River is still within five minutes of grocery stores and strip malls and within ten minutes of the Ocean County Mall. Ocean beaches are less than half an hour away. This pet-friendly community, open to adults aged 55 or better, is comprised of 1,250 single-family homes which feature great open floor plans. A low-maintenance lifestyle and reasonable taxes make this 55+ community even more appealing to active retirees. There are over 200 open houses in Ocean County this weekend. Here is a map of all Open Houses in Ocean County for Aug 27 & Aug 28, 2016. Open House in Ocean County with photos and maps for Sunday August 21, 2016 in Barnegat, Stafford Twp, Lacey (Forked River & Lanoka Harbor), Bayville, Long Beach Island, Toms River, Brick, Jackson, Waretown, Beachwood, Point Pleasant, Mantoloking/Seaside Area and all of Ocean County (These are the only scheduled Open Houses in Ocean County for this Sunday). Click here to set up your own Open House Alerts in the areas in which you’re interested. No more searching for Open Houses, you’ll get notified immediately! Below is the complete list of Open Houses in each town for Aug 20 & Aug 21, 2016. There are almost 200 open houses in Ocean County this weekend. Here is a map of all Open Houses in Ocean County for Aug 20 & Aug 21, 2016. 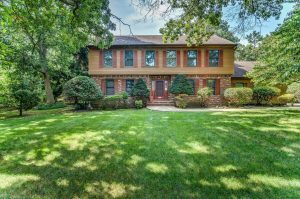 Open House in Ocean County with photos and maps for Sunday August 14, 2016 in Barnegat, Stafford Twp, Lacey (Forked River & Lanoka Harbor), Bayville, Long Beach Island, Toms River, Brick, Jackson, Waretown, Beachwood, Point Pleasant, Mantoloking/Seaside Area and all of Ocean County (These are the only scheduled Open Houses in Ocean County for this Sunday). Click here to set up your own Open House Alerts in the areas in which you’re interested. No more searching for Open Houses, you’ll get notified immediately! Below is the complete list of Open Houses in each town for Aug 13 & Aug 14, 2016. This beautiful home is located in one of the most desirable waterfront communities in Bayville and is only 5 minutes to the open bay! Your summer guest will never want to leave with the Bay Beach right on your own street! Shore charm is the first thing that comes to mind as you enter this home. The entry foyer and open formal living room/dining room all have beautiful vaulted ceilings. Their open floor plan makes entertaining easy. The bright and airy kitchen has granite counter-tops, recessed lighting, breakfast bar and beautiful water views! The large family room has a beautiful fireplace to cozy up on those cool summer nights. The spacious master bedroom suite has a walk in closet, full bath with jacuzzi tub and dual sinks. The master also has a deck off it to enjoy your morning coffee watching the boats going by. There are two more spacious bedrooms upstairs and one downstairs for added convenience as fourth bedroom or home office. This home has a two car garage and a shed so storage is never a worry here. There is a huge deck with an awning. Close boat ride to Tice’s Shoal and waterfront restaurants! Bayville Community Information and Housing Market Trends – The data on in this link is consolidated from multiple sources and includes current listings, recent sales, and more. Whether you’re a buyer or seller, the knowledge you gain will help put you in control of your real estate transaction. There are almost 200 open houses in Ocean County this weekend. Here is a map of all Open Houses in Ocean County for Aug 13 & Aug 14, 2016. 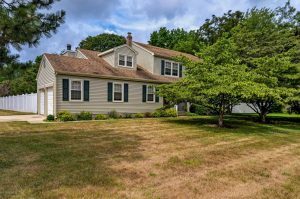 Open House in Ocean County with photos and maps for Sunday August 7, 2016 in Barnegat, Stafford Twp, Lacey (Forked River & Lanoka Harbor), Bayville, Long Beach Island, Toms River, Brick, Jackson, Waretown, Beachwood, Point Pleasant, Mantoloking/Seaside Area and all of Ocean County (These are the only scheduled Open Houses in Ocean County for this Sunday). Click here to set up your own Open House Alerts in the areas in which you’re interested. No more searching for Open Houses, you’ll get notified immediately! Below is the complete list of Open Houses in each town for Aug 6 & Aug 7, 2016. Beautiful Corner Property on a Cul De Sac Street this 4Br/2.5 Ba Colonial has been Lovingly Cared for. From the Moment you enter you will notice the large Living Rm and Dining Rm w/ Beautiful Hardwood Floors. 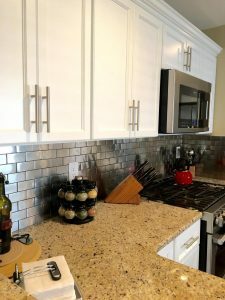 Eat in Kitchen opens to Family Rm w/Gas Fireplace. If you are looking for Large Spacious Bedrooms you found it here! *Hardwood Floors* beneath newer neutral carpeting (3Bdrms) The Main Bath has been updated w/fully tiled shower. New Siding, Roof, Furnace, Air Conditioner HW Heater, Front Door, Sump Pump, Tilt Windows, 6 Panel doors…ALL within the last 5 yrs! Full High and Dry Basement, just completely Painted and Ready to be Finished… Subfloor pressure relief system just Installed. If you are looking for Pride of Ownership this is the Home you’ve been waiting for. There are over 150 open houses in Ocean County this weekend. Here is a map of all Open Houses in Ocean County for Aug 6 & Aug 7, 2016.